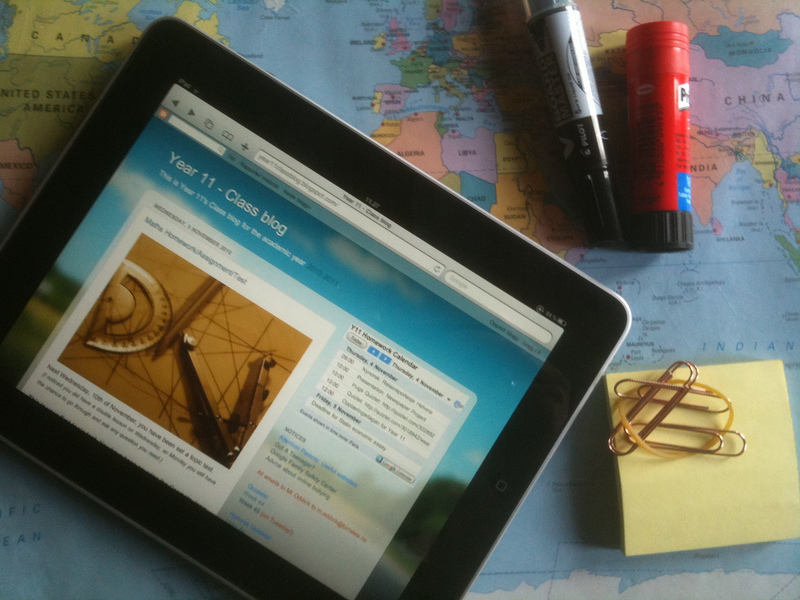 Digital Mom Blog > Technology & Web > Digital Kids > Will School Textbooks Finally Go Digital? Will School Textbooks Finally Go Digital? Textbooks – are they finally going digital? With the world in a ebook frenzy and with the costsof printing and not to mention the information changing in the textbooks – will they go digital? School have lacked the hardware needed to deliver textbooks digitally. With the increasing amount of technology in the classroom – the shift from physical to digital textbook couldn’t come at a better time. McGraw-Hills new format, CINCH, is a cloud-based curriculum for K-12 math and 7-12 science. It makes all course materials, which include ebooks, presentations, assessments and animation clips, available from any device with a browser. Students in a class can also participate in Facebook-like conversations that stay with the text. Were trying to meet students and teachers where theyre at digitally, Stansell says. McGraw-Hill will also be launching a new payment model with CINCH: schools will be charged for each student to use the textbooks on a yearly basis. It comes out to about the cost of a workbook for each student. I don’t know about your kids, but my children gravitate towards computer learning. With the popularity of iPads, it could be a reality that rather than the bulky school backpacks that are kids are carrying are no longer. Our kids could carry everything they need in an iPad, but will the change happen? How Soon Do You Think The Switch From Physical Textbook to Digital Textbook Will Take? Very soon! In fact many school districts are already beginning the switch. There really are so many amazing ways to learn with iPads. It truly is amazing the types of learning experiences children can have that we never dreamed of. From traveling around the globe with Google Earth or Skyping with children in other countries, the iPad and other iOS devices have brought a whole new approach to learning. Check out our educational app review site to see the very best apps for teaching and learning. http://www.mindleaptech.com. Thank you so much regarding giving me an update on this subject matter on your web page. Please be aware that if a brand-new post becomes available or if any adjustments occur on the current publication, I would be interested in reading a lot more and knowing how to make good use of those approaches you write about. Thanks for your efforts and consideration of other individuals by making this site available. They should be used in “addition” to books, NOT instead of! MOST of the students were NOT using the ipads for their intended educational use, but instead were browsing, listening to music, etc… If students are to use ipads in public schools, they should be highly monitored & browsing settings should be in SAFE mode! My opinion is that students need to first learn to use books as resources, and only use ipads etc. as additional resources.